When it comes to hosting an event many people get so involved in the speakers, the merchandise and the guest list that they overlook the decorations. Decorating your event might seem a little trivial but it is the first thing your guests will see when they walk into the venue so it is vital that it gives off a good impression. 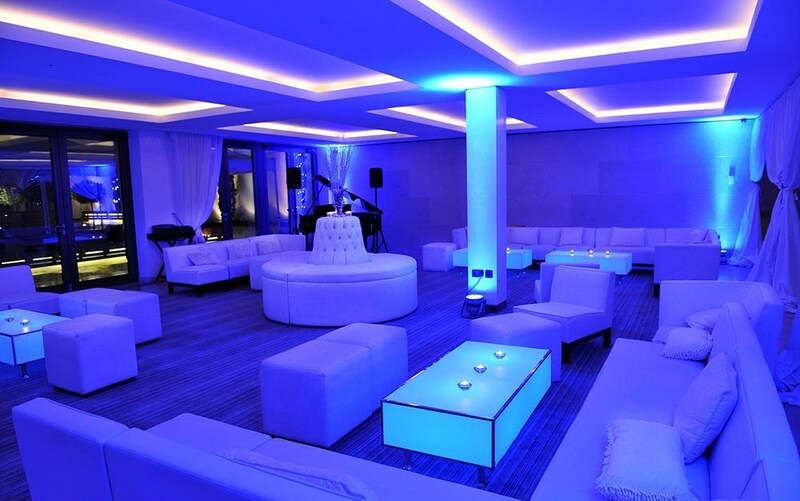 Use lighting to create a dramatic effect and to illuminate gloomy areas of your venue. You can dot LED furniture around your event to provide a cool atmosphere, or hang gazebo lights outside to make the most of the summer evenings. Bring back your favourite circus memories by holding a circus themed event. Big and bold colours and carnival themed props will bring any event to life. Have circus performers such as clowns and jugglers walking around or performing, and you could even put together your very own circus ring and compliment this by surrounding it with themed tables with striped tablecloths for your guests. As science fiction has exploded onto our small and big screens over the last few years it is by far one of the most popular genres in film and television. It is also a very easy theme to put together. Think metallics such as silver and gold and add mirrored furniture and compliment with the right space age music. The perfect excuse to roll out the red carpet and get your guests to glam up for the day. Use our red carpet and rope barriers at the entrance to your venue to greet your guests, then add touches of sophistication inside with beautiful linens and crisp table napkins. Let your inner cowboy out with a Wild West theme. This works particularly well in the summer months where you can hold your event outdoors. You can go to town with unusual centre-pieces such as cactus plants or oil lamps, and turn areas into dusty old saloons or old frontier towns. Scatter a few hay bales around and put on some cowboy shooting games and away you go. An easy theme here that requires just three different colours to get the message across, red, white and blue of course. You can drape these three colours over windows to create a frame or place on tables. You can also use blocks of these colours, so for instance, cover chairs in blue and then keep tables white and use a splash of red to bring the Union Jack theme together. You can also include British icons such as mini motor cars and full sized Beef Eaters. Based on the infamous carnival in Venice, this theme conjures up mystery and intrigue. Use colours like golds and purples and be over opulent in your décor by including things like feathers and crystal chandeliers. Give your guests masks as they walk in for the full masquerade ball experience. A fun way to incorporate your event is to hold a casino night and these are really easy to put together. Just get staff to pose as couriers and dot gaming tables around the venue. Pop a bar at each end and have some Las Vegas themed entertainment during the evening. Think over the top and glitzy and loud. Remember, whatever decorations you require, Yahire are at your service – 7 days a week.